Android users patiently waiting for the arrival of Vine for Android will be pleased to learn that Twitter has today released a version for the Android operating system. Around five months after Vine for iOS was released the Vine for Android application has now been made available. Vine is a mobile app which has been created to enable users to create and post video clips. Vine video clips have a maximum length of 6 seconds and can be shared or embedded on social networking services such as Facebook and Twitter, who acquired the Vine application back in October 2012. 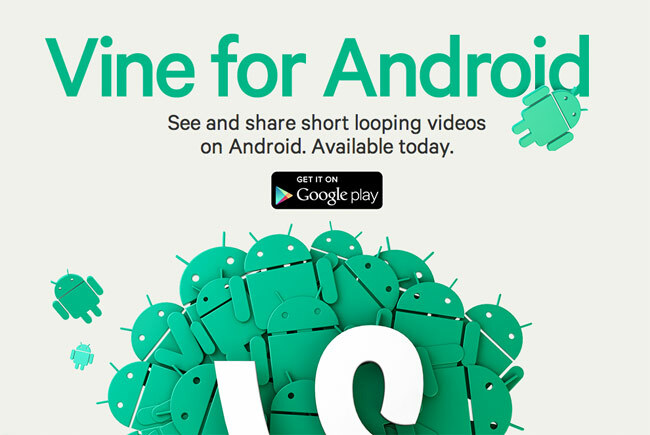 Vine is now available to download from the Google Play Store for free and will run on any smartphones running Android 4.0 or higher. More features will be added the Vine for Android app over the coming months says Twitter.